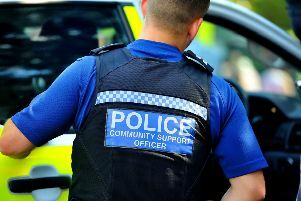 The A2100 has been blocked after a collision between a car and a pedestrian, according to Sussex Police. The collision – in Lower Lake, Battle – is reportedly affecting traffic on the A2100 Battle Hill both ways between the B2095 Powdermill Lane and Glengorse. Police said the collision happened at 4.51pm on Tuesday (November 20). A police spokesman said: “Injuries are unknown at this stage. “The road is currently blocked. Traffic travelling through Battle has also been affected, traffic reports say.